In case you haven’t heard, there’s a new kid in town. Her name is Suzy; the brainchild of Bloggers/Vloggers Dominique Major and Rosabella Riddington. She is pitched as a magazine for the ‘fashion forward sewist’, a cross-between a high street fashion mag and a table-top sewing magazine. Issue One of this biannual magazine was only available through backing the scheme via Kickstarter. Unsurprisingly it sold out. Without a doubt, I feel there is a gap in the sewing publication market which this magazine aims to fill. The sewing community is evolving; with the help of social media it’s throwing off its ‘fuddy duddy’ mantle. It should no longer be perceived as simply the pastime of the thrifty, the unfashionable or of grandma making something for the grandkids. There is a burgeoning scene of young (and older!) 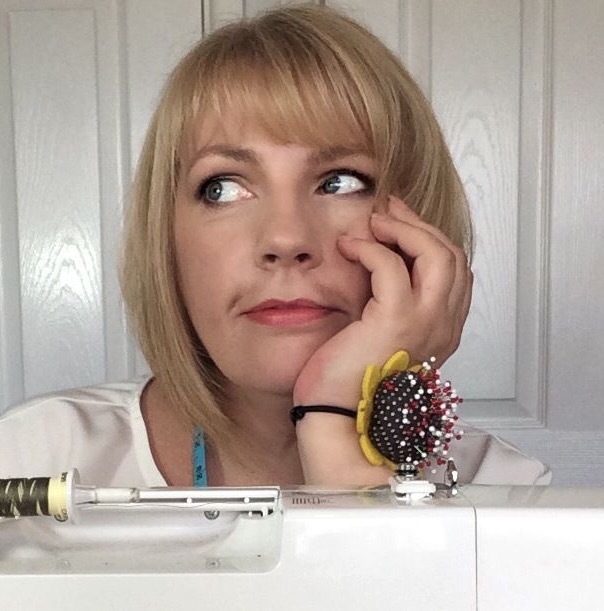 fashion-conscious creatives getting onboard; the indie sewing market is growing all the time and the sewing community as a whole, of which I’m happily part, is very active on social media. Sewists are looking, not only to make great fitting garments, but to buck and set trends of their own. Whilst the sewing magazines currently on the shelves at your local newsagents are trying to incorporate this ‘scene’, only Suzy seems to be solely directed at it. So what does Suzy offer? My first impressions are that the physical quality of the magazine itself is good, in fact very good, as is the overall design and photography; it’s by no means cheaply or amateurishly put together. It feels fresh and vibrant and something you’d happily have on the coffee table. But what of the actual content? There’s a whole host of articles, imagery and contributors. I particularly liked the coverage of Molly Goddard’s interactive exhibition, the Industry Insider and the Week in my Wardrobe articles, the four Sewing Stories interviews and the Bomber Jacket : Sew the Trend piece. I also liked the Wild Flower section at the back covering pattern-print inspiration and I was glad to see these were showcased with a mixture of indie patterns and patterns from the ‘mainstream’ pattern companies as well. In the main, Suzy is a breath of fresh air. I think Rosa and Dominique have done an amazing job getting this off the ground and should be congratulated. They have used their clout to get some good contributors on board. Only one note of caution, looking to the future, I do think that in order for Suzy to remain innovative, she needs to avoid the danger of her overall concept becoming too inward-looking and exclusive, repeatedly featuring the same contributors and pattern companies/designers. A sewing magazine truly written by the sewing community for the sewing community would be refreshingly innovative; I for one am really looking forward to seeing what the next issue brings!! If you’re interested in getting your hands on a copy, you can do so here. Sewing with Knits : The Sewaholic ‘Renfrew’ top – two versions!